P.S. Got several 'Force' maker versions of same config available as well, please inquire within. 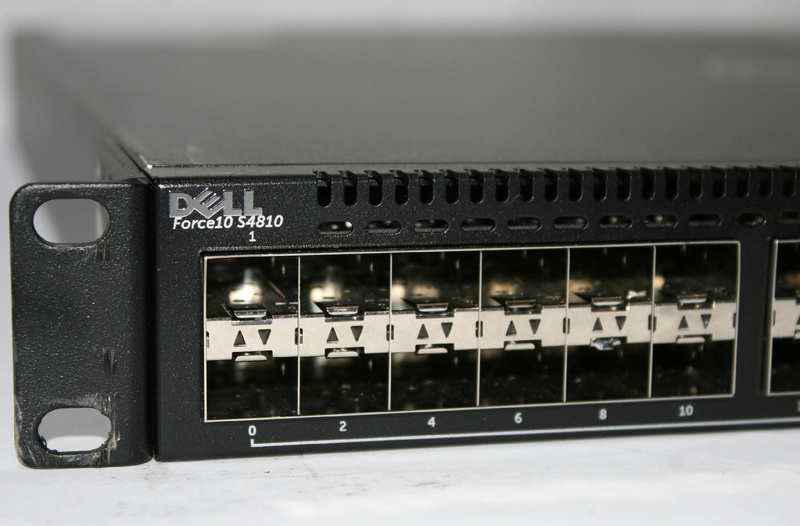 The Dell Force10 S-Series S4810 Managed Switch is an efficient 48-port device, which ensures a reliable connectivity. It includes Ethernet protocol, which helps in easy transfer of data. 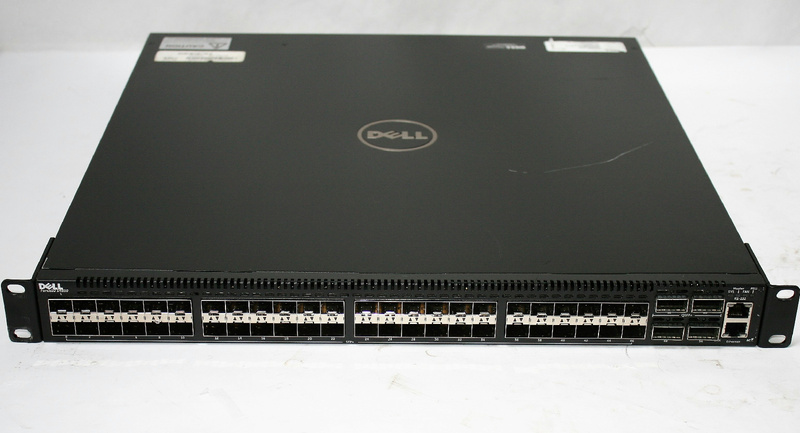 In addition, this model works on an internal power supply and offers features such as Multiple Spanning Tree Protocol (MSTP) support, Per-VLAN Spanning Tree Plus (PVST+), Rapid Spanning Tree Protocol (RSTP) support, Syslog support, Virtual Route Redundancy Protocol (VRRP) support, flow control, front to back airflow, sFlow, DHCP support, IGMP snooping, IPv4 support, IPv6 support, Jumbo Frames support, LLDP support and Link Aggregation Control Protocol (LACP).